Sometimes it can be difficult to have motivation to stay honest to a diet, especially when you are making the change from double chocolate chip cookies to a rice cake and hummus. It can be too easy to live in the moment of how delicious those cookies look in the store instead of thinking how great you will feel when you pull up your jeans to realize they are too loose to wear. It takes a lot of hard work and a whole lotta willpower to resist the cookie aisle. Fact is…you only have to do it once! Today, I am going to walk past the cookies aisle. Today, I am going to eat better foods. Here’s another fact…I don’t eat rice cakes. Ewww. Maybe you are among those who love them…if that’s the case, ENJOY! Focus on making all of the right choices today, for a better tomorrow. 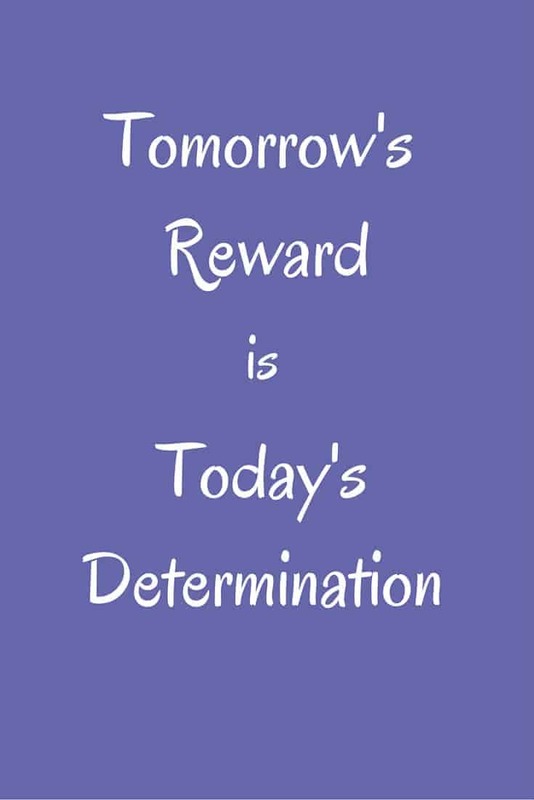 Sounds corny, but for every day you make the right choices, tomorrow will get easier to make better choices! Decide on one unhealthy habit to stop today. Is it sugar? Stop the sugar addiction as soon as you can, it wrecks havoc on your exercise efforts. Try a new healthy food. Try to exercise a little longer, a little harder today. For every day that you push a little more, turn away from unhealthy habits, you add to a brand new you! A healthier, more energetic, more confident YOU! Find something that will motivate you to get moving. Discover your WHY. Wondering how to be successful at losing weight and keep it off? Here are 4 steps to the best weight loss for women over 40 so you can begin losing weight today. These are the same tips I implemented into my life over 3 years ago when I lost over 30 lbs. Now I am fit and feel great like never before! When I started losing weight my dress size was 14, now I am a size 4, sometimes I can rock a 2! But more importantly than size of clothing is how I feel now that I have energy, strength and flexibility. About 4 years ago I made the decision to not be fat anymore. I had crept up to 175 lbs and a size 14. My life had taken a huge turn and there were things I wanted to do that would not work well with weighing 175 lbs. I made some necessary changes in my life, incorporating 7 habits that were the catalyst to where I am now – 35 lbs lighter, a size 2, so much stronger and feeling better than I could have ever hoped for. I had motivation from my WHY.